What do you do after visiting the Civil War? Go back about 1000 years and visit the Vikings. 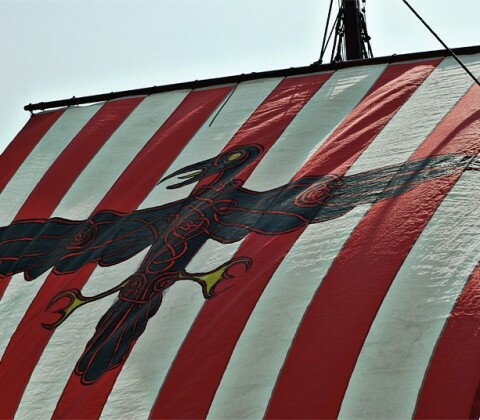 We traveled 25 minutes south of Columbus to Ashville to visit the Viking Fest. If you have ever been to a renaissance festival, same thing, same people, pretty much the same costumes, they just add horns to their hats. We had a great time, even got sunburned. Saw our favorite magicians, the Bunnies in Peril guys who drove up from Orlando to be at this festival. 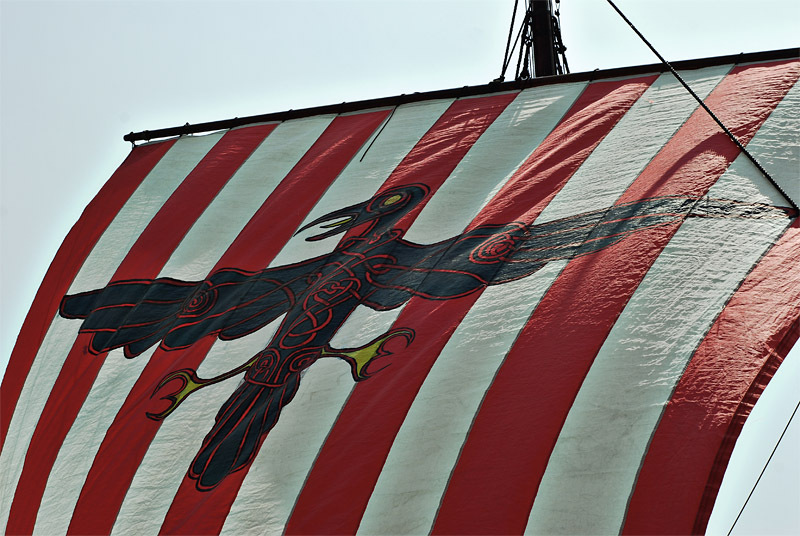 This is the sail from the authentic reproduction Viking Ship, The Norseman.